A Republican candidate in the 1st Congressional District primary has filed a complaint with the Federal Elections Commission, saying Twitter violated campaign laws by banning him from the site. Paul Nehlen, of the town of Delavan, came to Janesville on Monday to say Twitter banned him in order to influence upcoming elections and that the action is an in-kind contribution to his opponents. Twitter banned Nehlen in February for tweets that included one with a photo of Meghan Markle and Prince Harry with a photo of “Cheddar man” superimposed on Markle’s body. Nehlen has also been accused of anti-Semitism for his tweets. Wearing a “Make America Great Again” hat and standing at a lectern on the sidewalk in front of The Gazette’s downtown offices, Nehlen said Twitter’s action was part of a pattern of banning conservatives while giving liberals free rein. The FEC website says anyone can file a complaint, and complaints are kept secret until resolved. 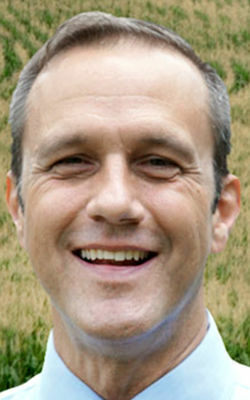 Nehlen faces Brad Boivin, Nick Polce, Kevin Adam Steen and Bryan Steil in the Aug. 14 Republican primary. Boivin is on the ballot but has halted his campaign.